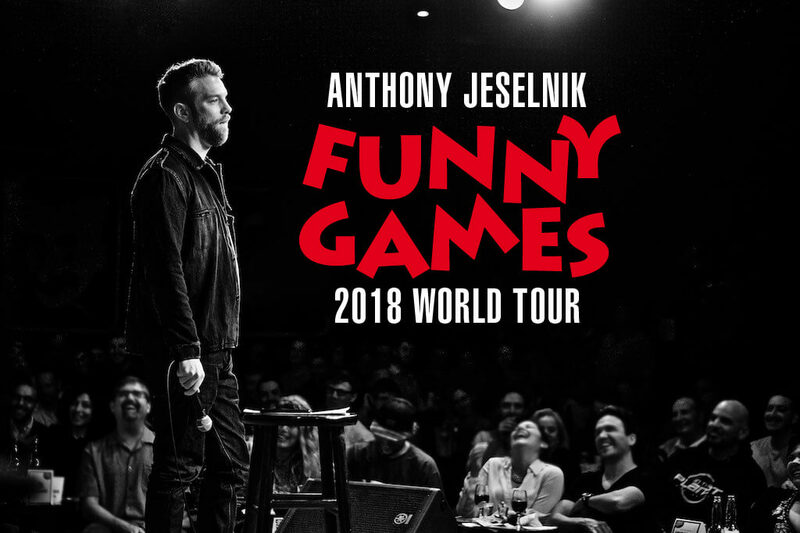 Jeselnik is a comedy industry veteran wowing audiences for over 15 years. 2017 was a banner year for Anthony as he toured with Chris Rock’s Total Blackout tour and perfected his new hour, workshopping in clubs across North America. He started his comedy career by starring in and creating Comedy Central’s THE JESELNIK OFFENSIVE, which ran for two seasons. He went on to write and appear for several Comedy Central Roasts, most notable: THE ROAST OF DONALD TRUMP and THE ROAST OF CHARLIE SHEEN. Anthony was the first ever stand-up comic to appear on Late Night with Jimmy Fallon. He also wrote for Late Night with Jimmy Fallon as well as received an Emmy Nomination for his work on A NIGHT OF TOO MANY STARS: AN OVERBOOKED CONCERT FOR AUTISTIC EDUCATION. In 2008 Jeselnik was named as one of Variety’s 10 Comics to Watch, and in 2009 was named Comedy Central’s Hot Comics. In 2010, Anthony released his debut comedy album SHAKESPEARE through Comedy Central Records. In 2013, he released CALIGULA, his first hour long special, to critical acclaim. Jeselnik hosted season nine of NBC’s LAST COMIC STANDING alongside judges Norm Macdonald, Roseanne Barr and Keenan Ivory Wayans. His last official tour was in 2014 and ended in early 2015 when he shot his critically acclaimed Netflix special THOUGHTS AND PRAYERS. Tickets are available now through Ticketmaster.